"When people ask me what our most popular holster and gun belt is I always ask "what is your primary use?" because that ultimately drives my consultation. 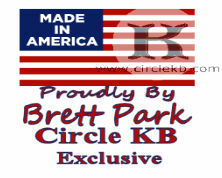 ", Maker Brett Park. The A1Quickdraw Holsters are classic gunfighter styles just like in the Hollywood western movies! Circle KB A1 QuickDraw holsters are traditional A1 Holsters and Buscadero Gunfighter style belts that gained popularity in the early Hollywood B Western movies and are just as popular today over 75 years later. The hand cut contoured Buscadero gun belt drops the holster on the hip and outer thigh with the grip easily drawn for a smooth, fast draw. Throats are wet molded and dried to create a funnel effect to allow for speedy re-holstering and no hitches catching on the cylinder. All fully lined A1 QuickDraws come with a metal reinforcement which is glued in between the lining and the top side leather for undeniable durability. 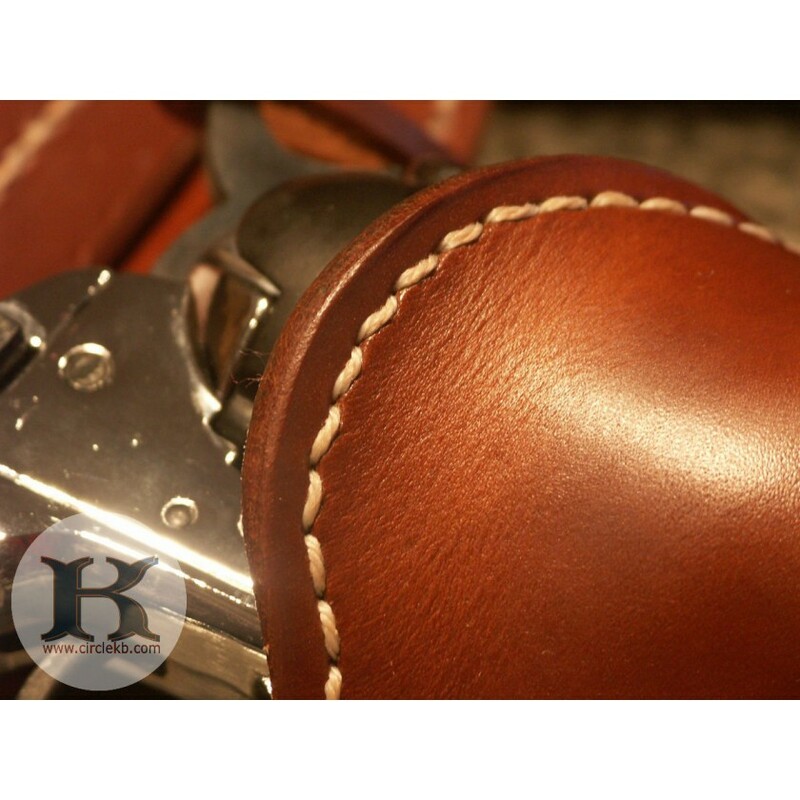 Eventhough our high quality leather is enough to provide the longevity and stand up required out of our holsters the metal reinforcement has been part of our pattern for over 40 years and provides incomparable stand-up for years of heavy use. Available in hard to fit sizes, left or right hand draw, dualist and crossdraw. 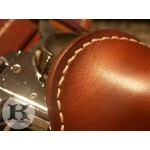 Comes standard with 20 hand laced cartridge loops and Old West California Clipped Corner Belt Buckle.